With grateful hearts and admiration for all those involved we’re excited to share that Love in the Fire was a worldwide hit in 2017. Our all new 15-minute duet performance took the stage with fresh music, superior lighting and cutting-edge visuals in more festivals than ever this year. 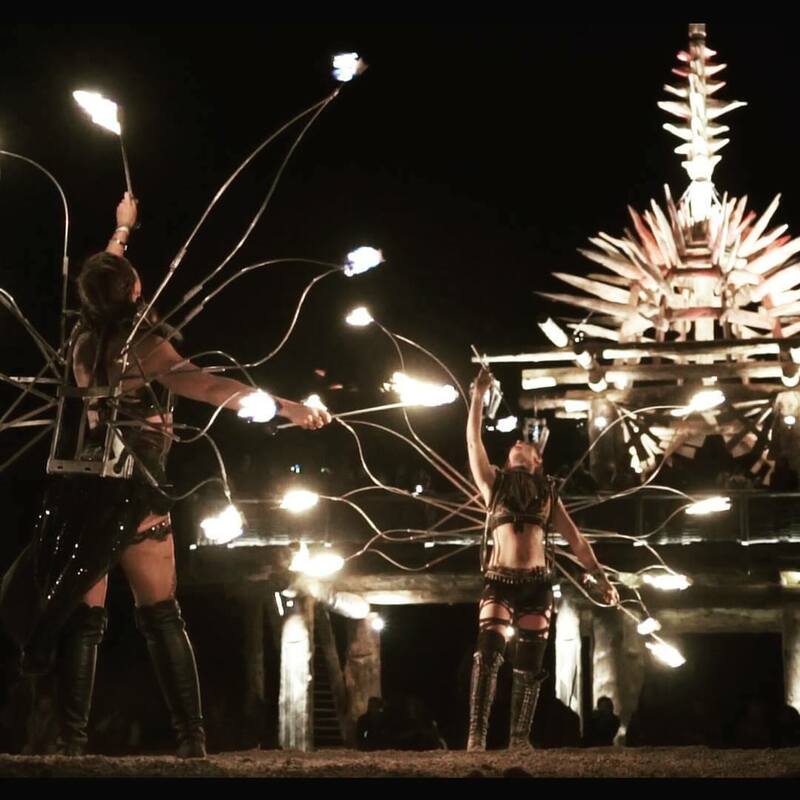 We also bolstered our ranks by collaborating with fifteen leading international fire dancers at Lightning in a Bottle and Oregon Eclipse Festivals. As we reflect on the past year in festivals we’ve collected a few of the most memorable highlights from the best year yet for Love in the Fire. Check out the list below and count how many performances you were there to see! 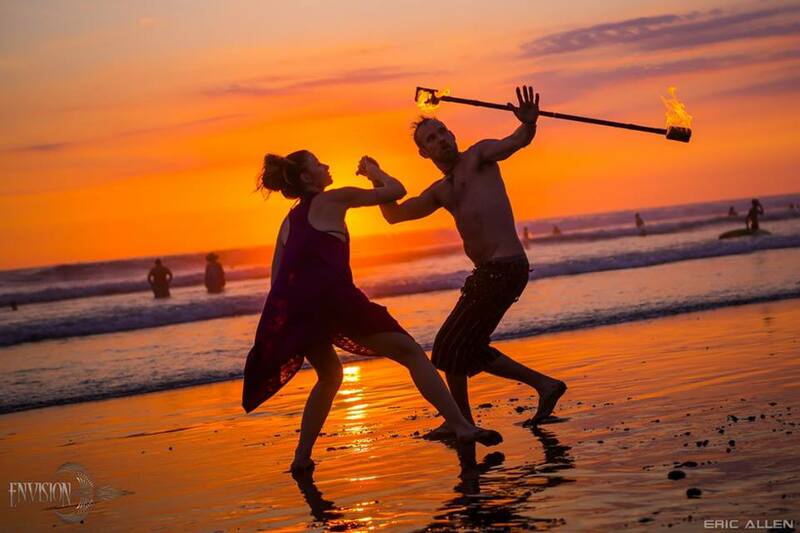 In the 4th year of our 10-day Envision Quest Fire Dance Retreat we enjoyed the magic of nature at the new Wild Sun Animal Sanctuary location, which was not only a more enchanting, jungle setting with an ocean view, but also a space where we learned to heal and care for monkeys, anteaters, deer and other wild creatures native to Costa Rica. 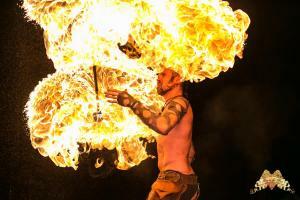 On stage, Love in the Fire performed two never before seen 15-min shows alongside the breathtaking Pyrodanza. 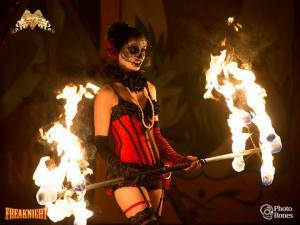 Our act also saw freestyle sets all weekend with powerhouse DJs like Opiuo, Pantyraid, and Clozee. 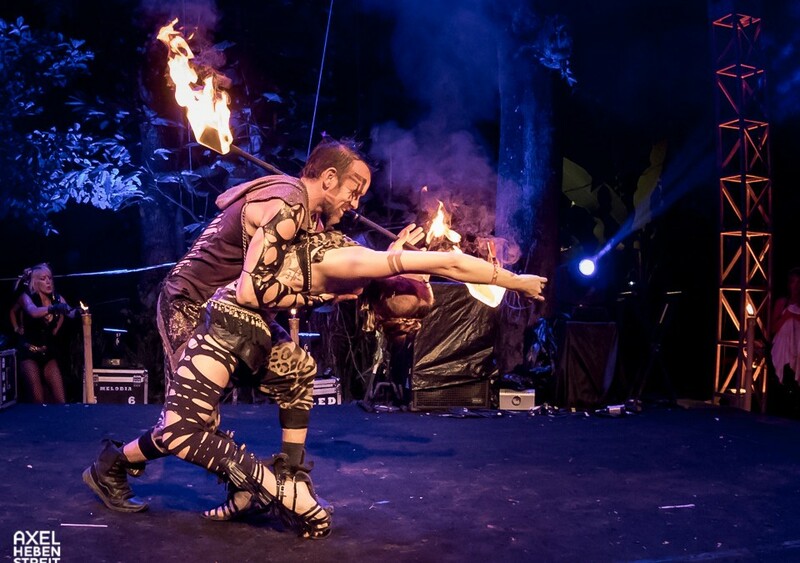 Flash forward to Bali Spirit Festival, in Ubud Bali Indonesia, where Love in the Fire held fire performances on the main stage at peaking climactic moments on Saturday night. 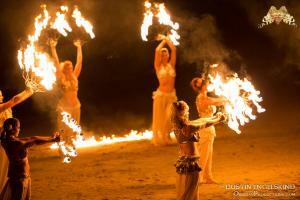 The show also featured Liquid Fire Mantra’s incredible 30-minute show. At Bali’s New Earth Festival Love in the Fire delivered a rare and timeless performance in a picturesque bamboo castle so performances could rock out in the middle of a rice field. In a number of freestyle sets, we also performed as Love in the Fire alongside heavy hitter headliners like The Human Experience, Dirtwire, and Saqi. 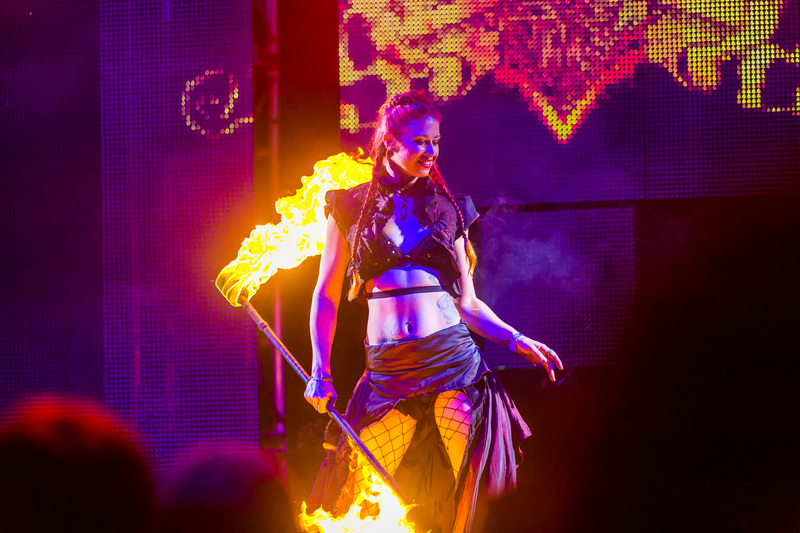 When our friends at Do LaB wanted something dazzling and romantic they knew to bring Love in the Fire to the lineup at California’s Lightning in a Bottle. The show incorporated cutting-edge lighting gear and futuristic visuals. 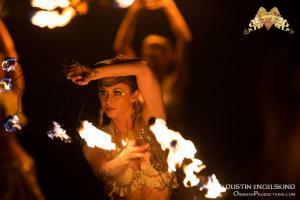 It was exceptional entertainment as well as the first time Love in the Fire Collective was able to perform in our very own Fire Groove Gear hosted Fire Circle. The natural spectacle at Oregon Eclipse made this global gathering a cosmic event. 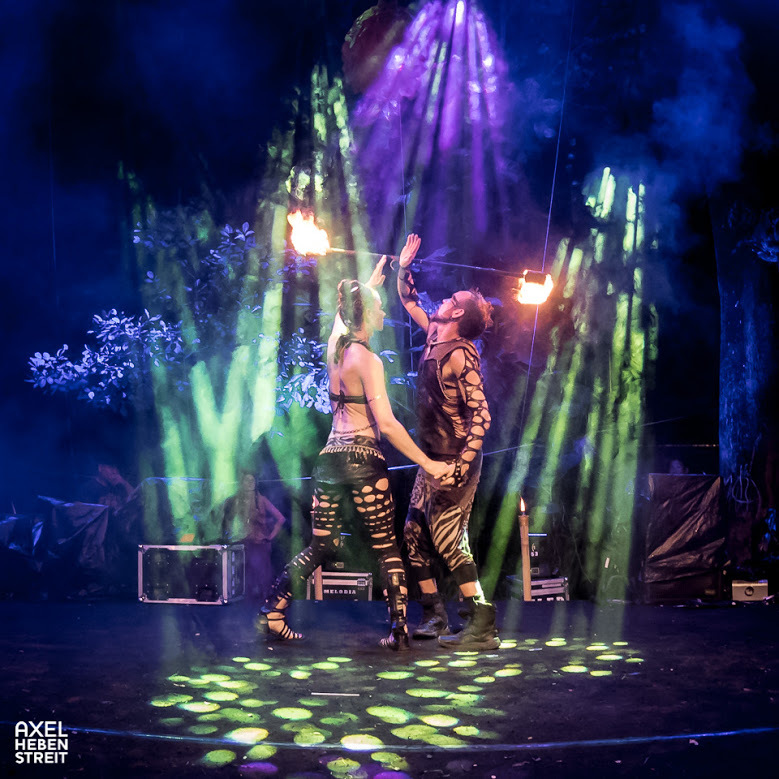 To bring our best we assembled the entire Love in the Fire Collective for two majestic rituals in the ceremonial amphitheater built by sustainable stage building dynamos, Bamboo DNA. We also facilitated the other evenings of shows and hosted fire performances by celebrated fire acts like Tammy Firefly and the Pyronauts. Keep an eye out for more announcements about our plans for new acts, new ideas and more about the coming season.